We’ve shared in previous posts about Ivanka Trump’s stunning wedding shoe collection. I was so excited when I stumbled across her jewelry collection! These beautiful peices that can be incorporated into any wedding look. 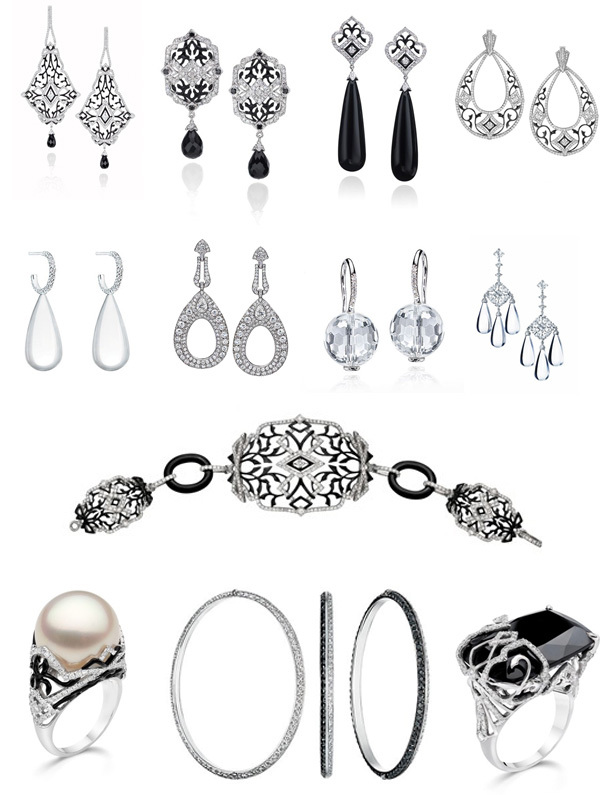 I especially love the art deco look to some of the earrings & bracelets. I chose some of my favorites, especially for the “black & white” color pallette, but there are many more options. Make sure to check out the full collection to see all the beautiful options!